When Tommy and I first began dating, we knew right away that all conventional “dating rules” would have to be thrown out the window. A distance of 1,226 miles forced us to rethink everything we thought we knew about relationships and romance. Spontaneous dates had to be planned months in advance (and involved the purchasing of a flight and the intense coordination of calendars). Physical affection was limited to when we were in the same place, which happened monthly at best. We discovered very quickly that it was going to be tough to be fully present to one another: even when you’re communicating regularly via text, Skype, phone calls, and carrier pigeons, it’s easy to get caught up in what’s right in front of your face and forget about the person you love who is well over a thousand miles away at that very moment. Facing this challenge, and knowing that success rates of long distance relationships weren’t necessarily the highest, Tommy and I set a rule from the start: we would talk on the phone, every night, if even for just a few minutes. These calls became the favorite part of my day. It was our chance to refresh. We’d talk about what had happened at work, with our families, share thoughts on everything from TV shows to current events. They were precious conversations, as if we were going on a date every night. In those nightly phone calls, the distance was spanned, our hearts were shared, and our love grew. About a week or so after we met, right as we were about to hang up the phone, Tommy tentatively asked, “Would you like to pray together before we say goodnight?” My heart surged. At last, here was a man who not only spent hours on the phone sharing his heart and mind, but also wanted to lead us in prayer and bring me close to the heart of Jesus. As he ended the spontaneous prayer, Tommy said, “Mother Mary, lead us ever closer to the heart of your Son as we pray, Hail Mary…” There are a few moments I knew that I was falling in love with Tommy. That was one of the first. Every night since then, Tommy and I have prayed together when we say goodnight, ending with a Hail Mary. Those few moments of prayer, however quick they may be, are what ground us in the chaos and busyness that is life right now. No matter what is going on – no matter how many tasks need to be completed or what stress has caused anxiety that day – that intimate moment of prayer allows us to be fully and completely present to one another. The world stops spinning, the chaos quiets, the emotions settle, and we are able to speak together to our Lord and share with Him the inner workings of our hearts. On June 4, those prayers will be said together as husband and wife. On June 4, the inner workings of two hearts will become one, and our very project of life will be to lead each other ever closer to the heart of Jesus. What better day to begin this adventure of drawing closer to Christ’s heart than on the feast day of the Immaculate Heart of Mary. Immaculate Virgin, by the holy will of your Son, my Lord Jesus Christ, you are my Mother in Heaven. Your Immaculate Heart is full of love, mercy and compassion for sinners like me. 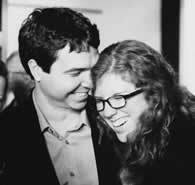 I ask that you intercede for me today for Katie & Tommy to be prepared to enter into Holy Matrimony. May they take any opportunity to praise & affirm the talents & efforts of each other. May they offer their time, understanding, & hearts to one another. May they try to build a solid foundation of openness, trust, & virtue. May they celebrate their coming vows & focus on the marriage they will build together & the holiness in which they will hopefully grow. May they treat each other with a sacred trust that will build each other up and may they trust in the Lord above all else, becoming clear channels of His love. May they always go in the peace of Christ to love & serve Him. I trust in your intercession before the throne of God for my needs and the needs of this couple preparing for marriage. Please pray also that if my petitions of any sort are not in accordance with the will of God, that I may be, like you, conformed to His will and not my own. Our Lady Queen of Heaven, Pray for Katie & Tommy. Immaculate Heart of Mary, Pray for us. Amen. No one really cares about the save-the-date or the invitation that gets mailed out. Those are expected to arrive. The invitations to the bridal shower, while cute, were eventually tossed, and the thank you notes we’ve written were read, stuck on the fridge for a few days, and then forgotten. But this prayer card, something so simple and easy to create and then send, elicited more excitement and support from the people we love the most because it has included our guests in the most important part of our wedding: our actual marriage and life together. In terms of a wedding, the tiny “details” which are so expensive and time consuming are far less significant than the most important aspect of it all: our entrance into a sacred Sacrament and the beginning of our journey as husband and wife as we grow ever closer to the heart of Jesus together.